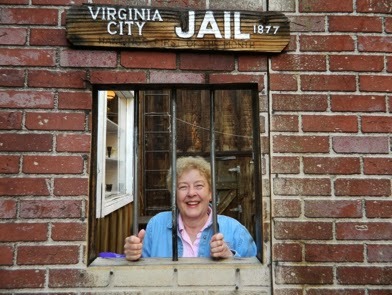 Spring time has been fun filled with the activities and travels of your State Regent. This officer attended the National Board of Management February 6-8, 2014, in Washington D.C. All state regents join with the National Executive Officers in meetings and activities that help further the National Society DAR. 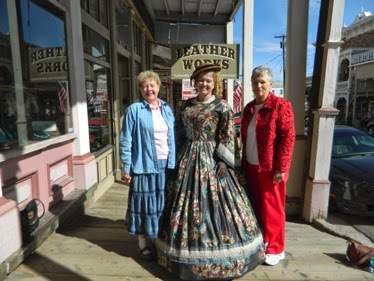 It was then back to Utah where Children of the American Revolution held their winter meeting in February. 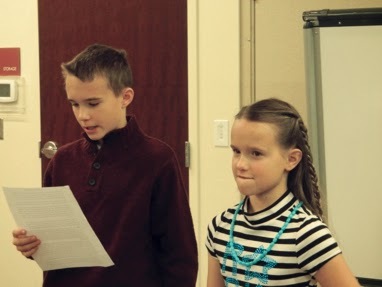 These wonderful children are participating in the annual Spring State Conference of USSDAR, April 25-26, 2014, Radisson Hotel, Salt Lake City, Utah. 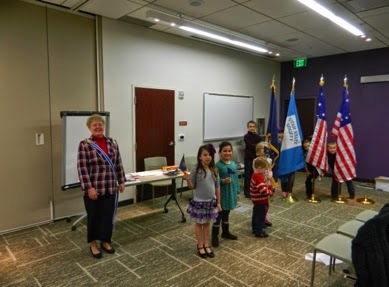 They will be the Color Guard for Saturday’s morning business meeting. 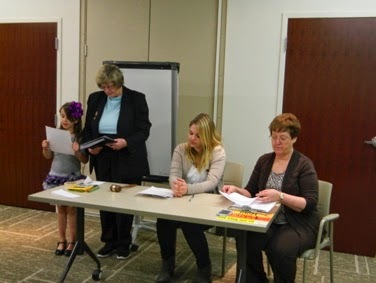 The Spring Conference is OPEN to ALL Daughters in the State Society. Conference registration for this event “Points of Light” is occurring right now. 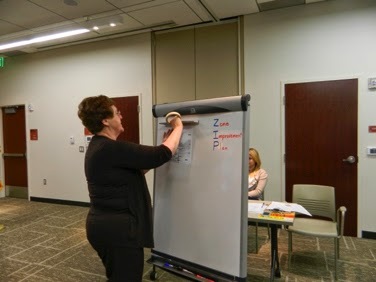 Details may be found in the Call to Conference March Newsletter. If you have not received it, please contact your Chapter Regent or Judy Barking j.d.barking@juno.com for a copy. They will be happy to email you the information. After the Color Guard presentation of the C.A.R. Saturday morning, a breakfast and C.A.R. State Conference meeting for the children will be held downstairs at the Copper Canyon Restaurant 9:15am-10:15am. The young children will then join the Daughters upstairs to hand out gifts and winning silent auction baskets. These are our Junior Pages “in training” , and are very popular with the assembly. Judy Mayfield and Kari Ann Christensen have been serving this past year as Sr. Presidents in Salt Lake City, Utah and St. George, Utah. These fine women have done a great job with our young children and teenagers. 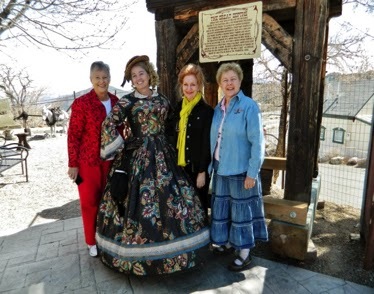 March 20-22, 2014, found your State Regent in Reno, Nevada, as a guest of Mrs. Rebecca Eisenman, Nevada State Regent. 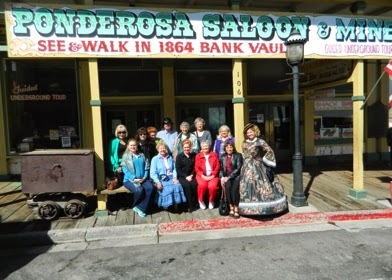 It was fun filled days of visiting Virginia City, Nevada, before the State Conference, and an enjoyable weekend of getting to know the Nevada Daughters. 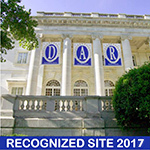 Attending other state conferences is a privilege and great opportunity to learn how neighboring states accomplish the many goals of NSDAR and how they emphasize areas of excellence in their own states. This officer enjoyed the meetings and special events sponsored by Mrs. Eisenman. After the Utah State Conference, your State Regent has been invited to attend the Arizona State Conference April 30-May 3, 2014, to be held in Phoenix, Arizona. 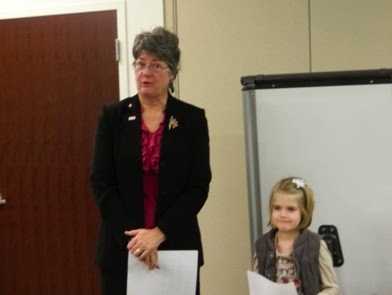 Mrs. Danna Koelling, Arizona State Regent will be the hostess. Both Nevada and Arizona State Regents are the guests of your State Regent at the Utah Spring Conference this month. Come and meet these wonderful Daughters who officiate in their respective states so well. 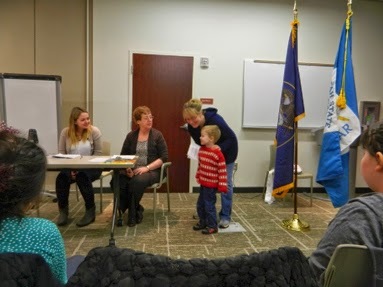 Most recently, April 3, 2014, this officer spoke at a Girl Scout Troop in Murray, Utah. 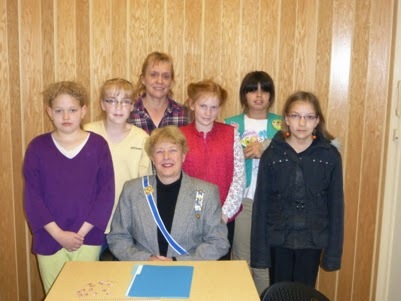 Pictured below are these young girls, who want to know about NSDAR, (part of the merit badge requirement). 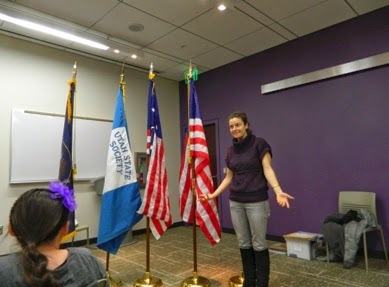 They are being trained by a professional flag expert on how to present the flag as a Color Guard. Some of these young girls qualify for C.A.R. 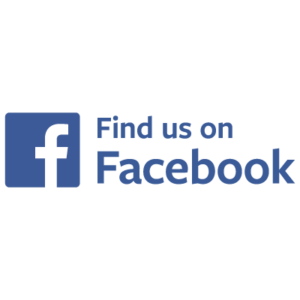 and are interested in joining the Dominquez y Escalante Society here in Salt Lake City. Their leaders are excited about the opportunities the C.A.R. has to enhance their Girl Scout goals. 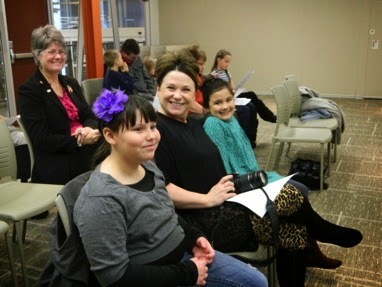 Daughters, you are most welcome to join with the Utah State Society in the Spring Conference to be held in a few weeks. Please take time to attend a meeting, a luncheon, or a dinner, if you are unable to attend the entire event. You will learn much about our great Daughters and their examples of “Points of Light” in their communities. We will also have Mrs. Ann Dillon, First Vice President General, as our honored guest.